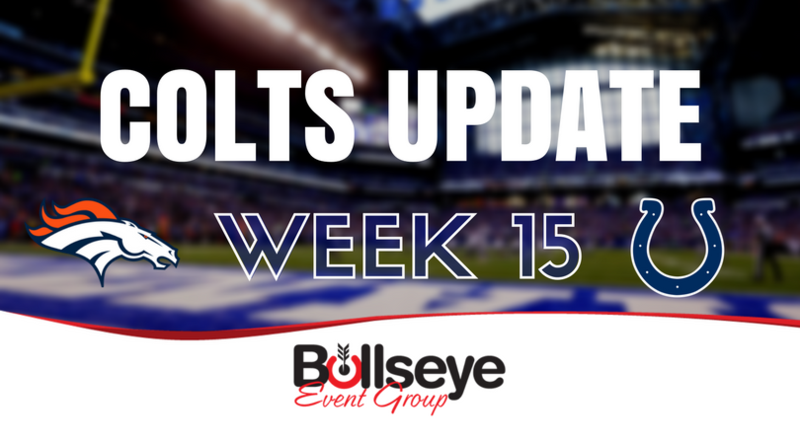 After a two game road trip, the Indianapolis Colts returned home in Week 15 to face the Denver Broncos in a Thursday Night Football matchup. Heading into Week 15, neither the Denver Broncos (4-9) nor the Indianapolis Colts (3-10) remained in playoff contention, thus making this Thursday Night matchup a battle for draft position for both teams. And in that aspect of the game, the Indianapolis Colts won, despite losing to the Broncos 25-13. The Colts offense would continue to struggle, with quarterback Jacoby Brissett completing 17 of his 30 pass attempts for 158 yards and no scores, and no rushing numbers to scream about. And in yet another game this season, the Colts held a halftime lead and ultimately squandered it, dropping the team to 3-11 on the season. Despite less than stellar numbers in his career thus far, Broncos (and former Texans) quarterback Brock Osweiler seems to have the Colts’ number, winner of his last three matchups against the team. Osweiler would come into the game for an injured Trevor Siemian in the second quarter, finishing the game with 194 yards, two touchdowns and no interceptions, leading his Broncos to the victory. The Colts hit the road in Week 16 to face the Baltimore Ravens on a special Saturday football game, kicking off in Baltimore at 4:30 p.m. ET, before closing out the 2017 season at home against the Houston Texans on New Year’s Eve.